We have our first Wicked Winner! Kathryn H. won the drawing for the e.l.f. Cruella palette! 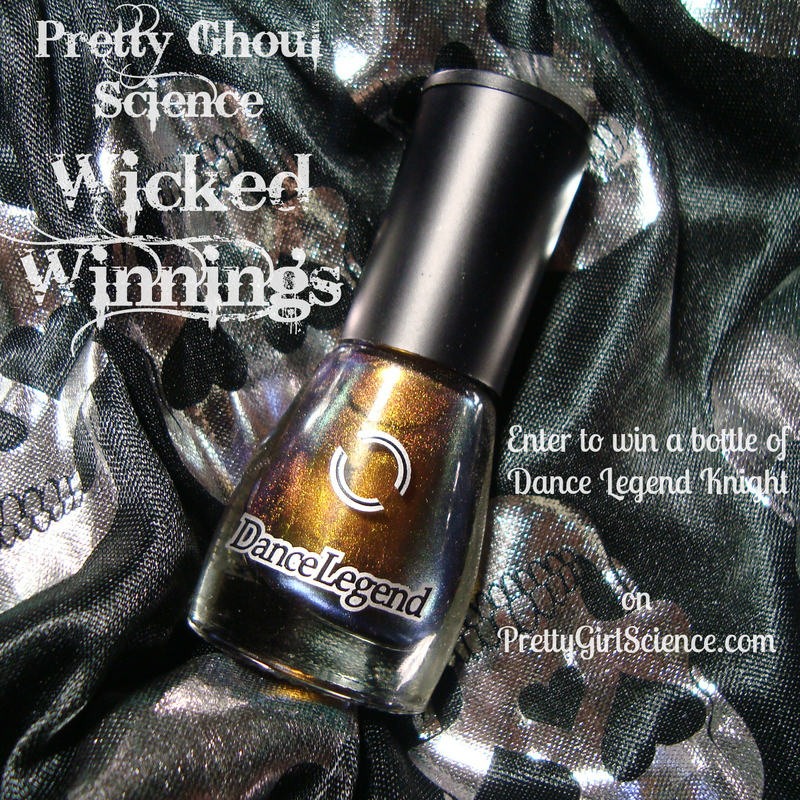 This week you could win a bottle of one of my favorites, Dance Legend Knight. I bought an extra when I ordered directly from Dance Legend last year. Since then, the brand has taken off in popularity and become easier to buy. It's also become one of my favorites, and Knight is among their best! It's a multichrome unlike any other I've ever seen. From copper to deep periwinkle...I've worn mine a couple of times and I still can't get over it. You can see the full range of the shift in my review. Nichole and I were chatting on Facebook recently and she joked about this being "The Dark Knight". I took the idea and ran with it...while watching Gotham. Instant sunset! The skyline is from Bundle Monster's BM-414 plate and the bat is from BM-013, stamped with Cult Nails Nevermore. Kathryn H., please contact us...and good luck to everyone who enters this week! 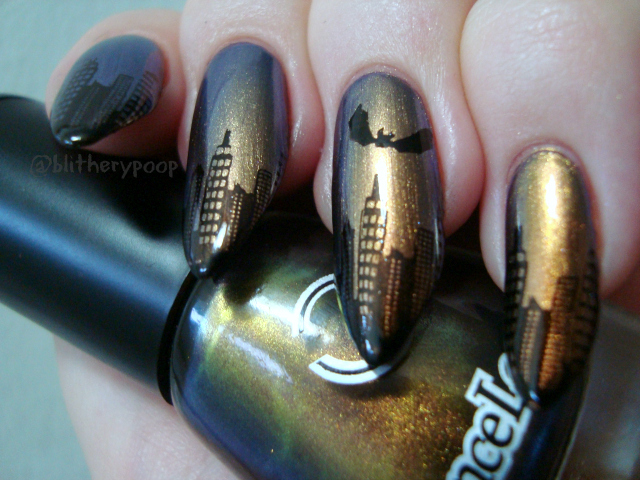 LOVE the Gotham nail art! 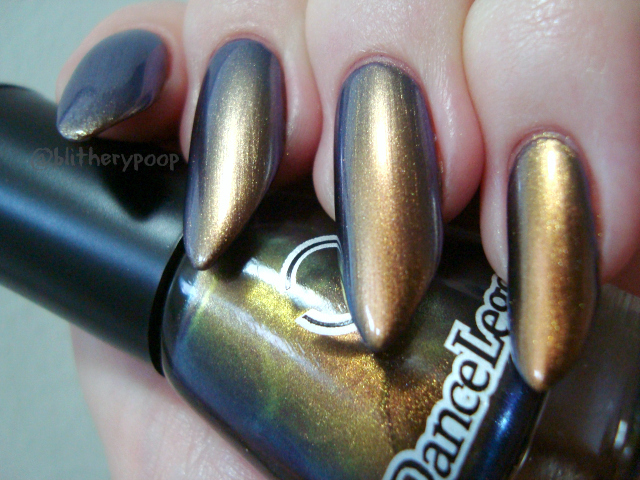 This color makes perfect Gotham themed nail art.